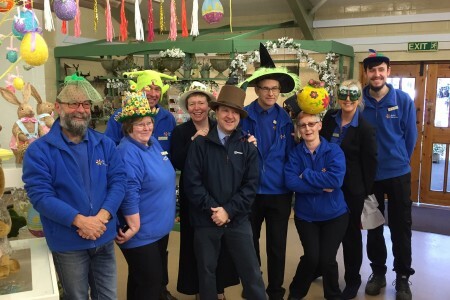 Join our Madhatters Day at the Nursery today where for a donation of £2 you get to wear your maddest hat! We are raising funds for Greenfingers Charity who provide beautiful gardens for childrens hospices. Our guest of honour Pippa Greenwood is joining us at 11.30 to give you gardening advice, you can buy a raffle ticket for the tombola in the main shop or why not pop into the Dahlia Coffee House for a hot drink. Don’t miss out on the fun!